The Head Up Display (often known as video game HUD or just HUD) is a common aesthetic used in gaming and by definition is almost a requirement for some. The need to convey real time information and data to the end user or player is often the basis for use of a head up display. This leads many developers into finding ways to provide an interface for their patrons without having unimportant information cluttering up the screen. In this article, we will look into some of the key aspects of head up display’s and their design, trying to analyse where some games have excelled and others not so much. With the video game HUD having such an important role in conveying things such as player character health, ammunition amount or the mission objective, it would seem logical to presume that all games or at least the majority would have video game HUD elements. This is not the case however as a newer generation of “realism” or immersion is used to negate the requirement for a head up display. Games such as Gears of War or Heavy Rain have effectively withdrew from the idea of presenting what was once presumed as integral information to the user. For instance, Gears of War will turn the screen different shades of red to indicate a loss of health or a nearing to death for the player. Many games have mimicked this cue, including the Battlefield series, by using a different video game HUD element as opposed to the standard health bar. Although the clouded screen isn’t as visual or concrete as a health bar it serves its purpose, with the user barely being able to see because of the red mist descending on his screen, it will indelibly lead to a retreat or more cautious play. 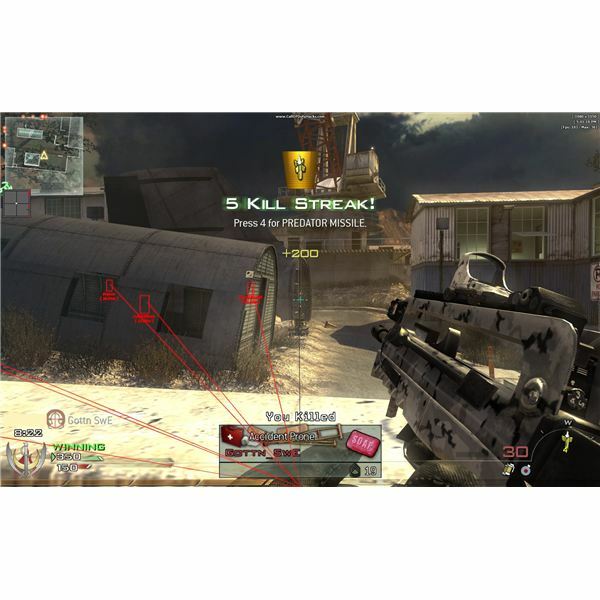 Another video game HUD element that seems to be creeping into the zeitgeist of this console generation comes from the use of pointers and markings showing the next mission objective or checkpoint. Gone are the days of aimlessly wandering around Monkey Island looking for something to interact with. 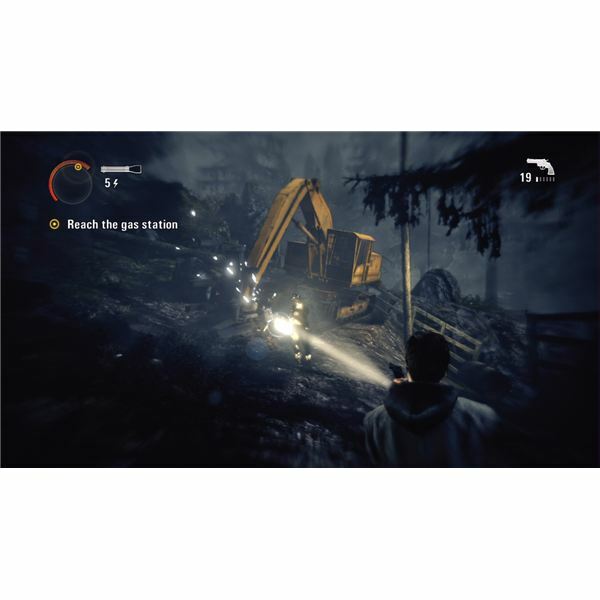 Now games will placate the user with a neat arrow telling them where to go, as Alan Wake demonstrates to my personal chagrin, which can be lead to some immersion breaking. It could be argued that often a mission objective pointer would be hidden in the pause menu and this new head up display usage is only slimming down the button presses and extrapolation for the user. In truth however, its emphasises the myriad of problems developers are faced with in building a title aimed towards an ever expanding gaming market, having to deal with newcomers and players who’ve never had to play Another World or complete a Roguelike. Whereas Alan Wake or Oblivion’s over zealous use of the mission objective pointer was perhaps a step too far, some games discreetly tell the player where to go and get away with it, The Darkness or Yakuza 3 being sightless examples. Another mention could be given to maps within the head up display as opposed to pause menu abstractions. The exclusion of maps from the video game HUD may seem too radical a step; it is often the dilution of interest in the world or its geography that leads to the use of nothing but a mini-map. Fable II and it’s egregious lack of a world map you can navigate or particularly inspect showcases the point. With no vested interest in the aesthetics of the world or an ability to draw a map of the land in one’s head a game, most notably of the RPG or adventure genre, will end up leaving behind no resonance in its world or locales. As pointed out Fable II does a wonderful job of ignoring its own mythos or culture. Aside from these different video game HUD elements, we have the collective acceptance of certain head up display’s for specific genres, mainly due to a well tuned evolution of the HUD until it reached the logical outcome for games of that kind. 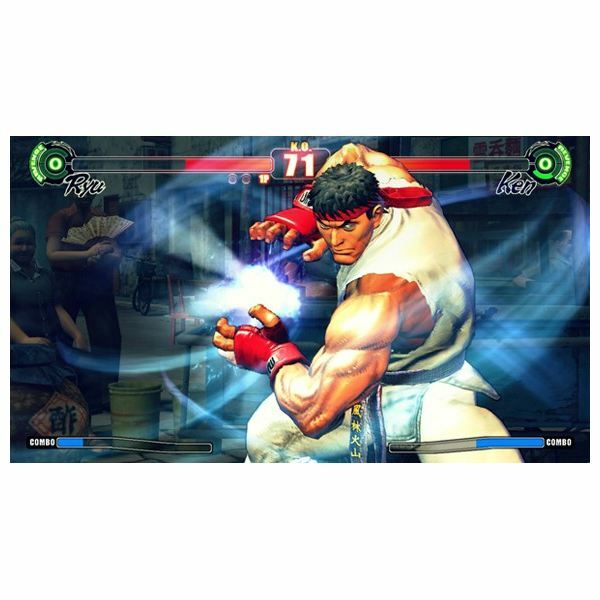 An example would come from the fighting game genre which classically showcased both players health at the top of the screen and a timer separating them. As Street Fighter, Mortal Kombat or the Versus series showcase, their isn’t too much deviation from this idiom. Although the hyper combo’s and special moves of many games will likely eat up some screen space at the bottom, fighting games have the same visual video game HUD elements, being easily recognisable to any salient gamer. Much like racing games and their need to show the track, number of laps, speed and car condition or soccer games and their requirement to show the score, time, a pitch radar and player on the ball, certain genres by definition need this kind of collectivism about their head up display design. It comes with the territory of covering a game in that specific genre type. 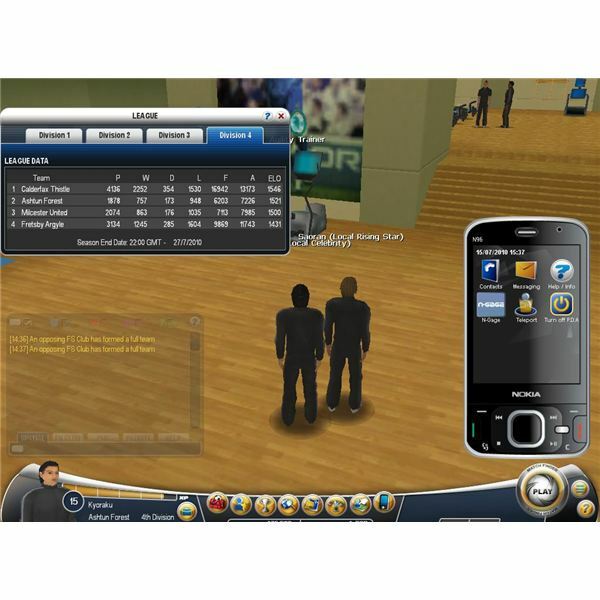 Players need this information if they are to successfully compete in the game; especially given the penchant for competitive games to share similar head up display’s. Although abstractions occur, like points flashing on screen in multiplayer shooters (I’m looking at you Modern Warfare), more often than not developers are looking for a clean presentation that gets the point across without destroying the aesthetic of whats being displayed. Its when developers try to convey complex and needless information that video game HUD’s become frivolous. On the flip side a minimalist head up display can be an aggrievance also, with a slither of information being hard to navigate through, leading into too much time spent on the pause menu. Its a dicey topic and hardly the easiest design process for a game. Head up display’s need to be informative without jarring the user or cramming too little or too much information into their fabric. A fine balance has to be negotiated and many games find it difficult to find a concrete way of doing it. Either way, the video game HUD will be around for as long as gamers need information or real time data on their enemies, opposition, ammunition or stamina, hopefully mission pointers and red mists can be phased out when the next generation swings around. Diegetic Sound & Diegesis – Games Can Use It Too!